At the Law Office of Dennis C. Burke we are committed to providing responsive, cost-effective and skilled divorce and family law legal services to families who are considering a divorce, or who require assistance resolving disputes post-decree. Many married couples who are filing for divorce in Kentucky attempt to handle the process on their own in order to try to save money. Experienced Louisville divorce and family law lawyer Dennis C. Burke is committed to helping you finish your divorce in a timely and cost-effective manner. If you have agreed on every item in the Separation Agreement and simply need the paperwork prepared completely and accurately we can help. If you and your spouse have principled disagreement on a few issues or major disagreement you can draw on my decades of experience to discuss recommendations based upon recent court cases that have similar circumstances, and solutions that have worked for others in your situation. Mediation is another option. Mediation is much less expensive than litigation before a judge, and you have much more input and influence over the process and the outcome. In mediation, a neutral third party works to understand each person’s position, while working to find common ground and establishing a positive working environment. Many of the challenges associated with a divorce involve issues surrounding the children including child custody and parenting time. It is important to understand that Kentucky approaches child custody and parenting time from what is in the best interest of the child. Many Kentucky divorce and family law judges believe it is in the child’s best interests to spend quality time with each parent. Based upon recent legislation, our local courts are looking for an even split of custody and parenting time between the parties, unless there is a compelling reason to consider other arrangements. A few examples would include alcohol or drug addiction, criminal activity or documented domestic violence. Parenting time schedules can be quite creative. We work with clients to understand the unique rhythms and schedules of their children’s lives. An effective parenting time plan should reflect educational requirements, as well as extra-curricular activities, religious observance, the arts and participation in sports. Parenting schedules don’t have to be “one week on and one week off with a visitation day in the middle.” They should reflect a schedule which provides the least interruption in the child’s life while ensuring quality time with each parent. What are the impact of domestic violence issues on a divorce and family law case in Louisville and across the State of Kentucky? 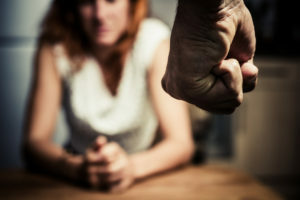 Domestic violence can impact many aspects of a divorce from child custody and parenting time to maintenance (alimony), the division of marital property and even the ability to cost-effectively negotiate the terms of your divorce. The presence of any domestic violence issues or convictions in the years before a divorce can impact child custody and parenting time. The safety and best interests of any child are of paramount importance to Louisville family law courts. The court may not award custody of a child and/or may limit parenting time to supervised visitation if the judge or magistrate believes the safety of a child is at risk. My law firm helps those who are victims of domestic violence and work to ensure the safety of spouses and children who are exposed to physical, psychological and verbal abuse. Unfortunately, in many cases involving a divorce allegations of domestic violence are abused in order to gain an advantage in a divorce, especially in areas of child custody and parenting time. If you have been served with an Emergency Protective Order (EPO) or a Domestic Violence Order (DVO) in Louisville or Central Kentucky you need an experienced defense attorney to defend and protect your interests. If you have been served with a temporary restraining order you must contact us immediately to protect your interests, as well as your future as it pertains to the divorce, future employment and your personal rights and liberties. There are only a few weeks before a temporary restraining order becomes permanent. Restraining orders and domestic violence associated charges have a serious impact on the quality of your life going forward. This will affect everything from your ability to get a good job to your rights regarding firearms and ammunition. We combine our experience and expertise to help you move through and complete the divorce process. This can be as little as cleaning up paperwork, and ensuring that all is ready for a judge to review and sign. It can include representation in a hearing or two, mediation, or full representation throughout the process. I invite you to contact the Law Office of Dennis C. Burke, or call and speak with me personally for a free consultation at (502) 589-6916. An experienced and proven divorce and family law attorney serving Louisville and Central Kentucky.